Is this book overrated? What makes it a bestseller? Is it worth your time and money? Find it out in this The Immortals of Meluha book review. From the unbelievable response and exceptional critical acclaim, The Immortals of Meluha by Amish Tripathi did become one of the ‘actual’ bestselling mythological novels of India. While I was too shocked to see the author, Amish Tripathi, being compared to Paulo Coelho, I was equally curious to know what makes people draw such a comparison. It has been almost five years since The Immortals of Meluha by Amish Tripathi got published and it still sells like a hot cake. 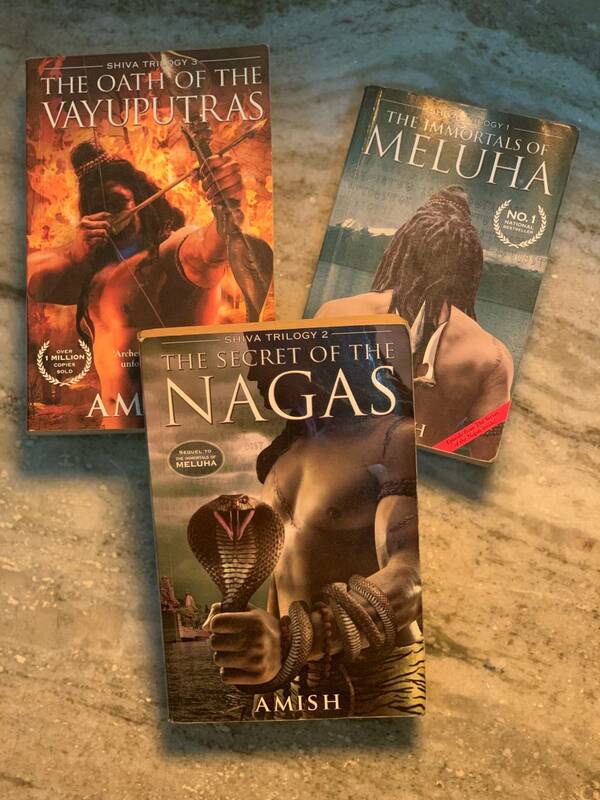 Even my bookseller uncle seems to import hundreds of copies of this Shiva Trilogy book 1 each year for he could simply not stop recommending this book to each of the readers who ask for his advice. Want to know more about Amish Tripathi Books? Check out the blog! I picked up The Immortals of Meluha book for my best friend recommended this to me. I actually borrowed the book from him so that I can set myself on a journey to discover what makes this book so special? It is the first book of the Shiva Trilogy which talks about a man who was destined to become a God, Mahadeva. This book describes how Shiva discovers the legend of Neelkanth and how it was prophesied that he would become the savior of the Suryavanshi tribe living in the land of Meluha. While Shiva still considers himself as a normal man, people of the Meluha consider him as their God. But is he really a hero? Or is he what he thinks of himself – just a common man who appears to have a blue throat by chance? Suryavanshis expect him to fight for them and destroy the evil. But how would he do that when he doesn’t even believe himself to be the Neelkanth? How would Shiva, a common man save the entire tribe? This is what the story is. To my immense stupidity, I read half of the book considering this to be the actual story of the Lord Shiva which has just been narrated from a different perspective. Probably, someone does need to teach me what fiction is. Anyway, I did discover that this isn’t the real story or legend of Lord Shiva. But I am pretty sure that this small confusion (actually a big one) has not affected my reading experience with this book. First of all, this isn’t really a page turning book as I read in the reviews. I did have to force myself to keep reading for the first 100 pages. But once I completed them, all I had in my mind was ‘what happens next’. I really wanted to know what would be the next step of Shiva. What would happen to him now? Who are those mysterious characters which the author didn’t reveal so easily? All these questions kept bringing me back towards the pages of The Immortals of Meluha. Now, as I have completed reading the Shiva Trilogy book 1, I am just waiting for the second book of the trilogy. Thanks to Amish Tripathi who ended the book exactly where I didn’t want it to end. Well, that’s how you create suspense in the story. Right? I have been too late to pick up this book and I know most of you have already read it. What do you think about the book? If you haven’t read it, go read it now! It’s worth reading? 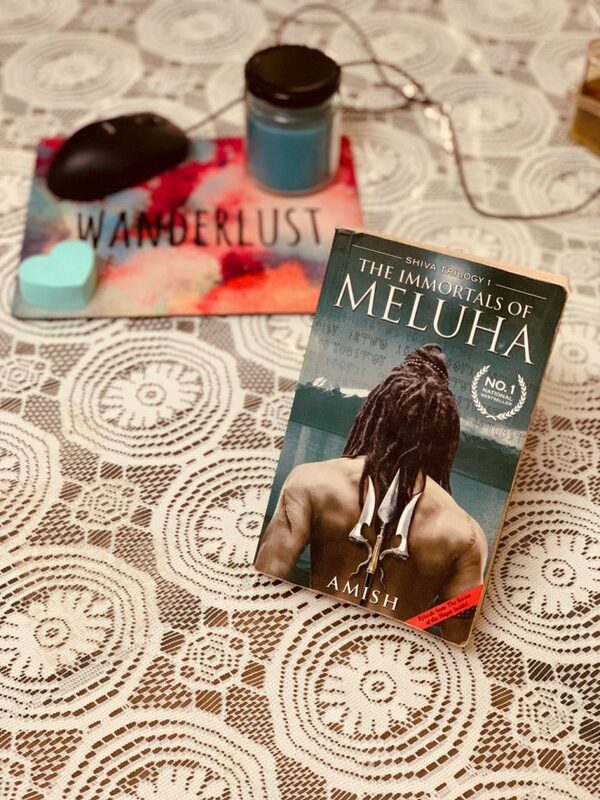 The Immortals of Meluha is the book 1 in the very popular Shiva Trilogy by Amish Tripathi but is it worth reading or just overhyped ? Find out what Indian Booktuber thinks about it. I already have all the three books and I am going to start with the second one very soon. And about the religious stuffs comparison,initially I did the same but then I realized it’s a ‘Fiction’. I really want to appreciate the author for he has written a very well thought piece. And after reading the book and doing some more research about the series, I would say the same – don’t compare it to the religious stuff. It’s just a story of a guy named Shiva. I heard about this book through friends and was not really convinced that it could hook me like a Ludlum or a Dan Brown novel. But boy was I wrong. It is a well-written book with elements of action, adventure and romance, set in a different era- one before the Mahabharath, when science, and religion intermingled and mixed to create unique traditions and cultures. The story of Shiva is both believable and beautiful. Get this one. Thanks for the comment. I think we both somehow went through a same kind of experience. the book was better than our expectations. Right? Did you read the next two books in the triology? It felt so nice reading this review. i have already read this series and have become a big fan of amish i hope when you finish the series you too can praise the series. Hey, after I have read a couple of more books by Amish, I am sure I’ll appreciate this book even more.